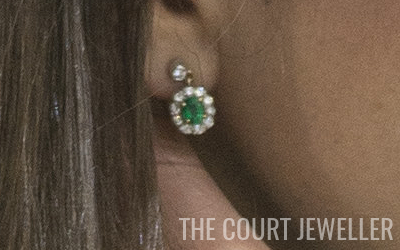 They may not be the biggest pair of earrings in the Duchess of Cambridge's jewel collection, but there's something about her diamond and emerald cluster drop earrings -- they're small but mighty. The earrings' major feature is the oval-shaped cluster drop. Ten small diamonds surround a single oval-shaped emerald. The earrings look to be set in a combination of yellow and white gold. The cluster drop is suspended from a stud which is set with an additional diamond. 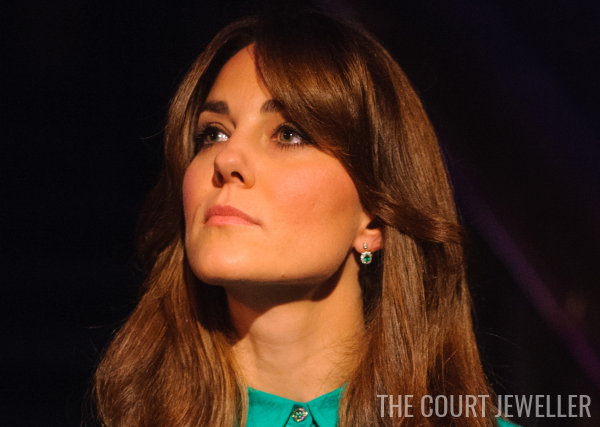 Kate wore the earrings in public for the first time in November 2012 at the Natural History Museum in London. 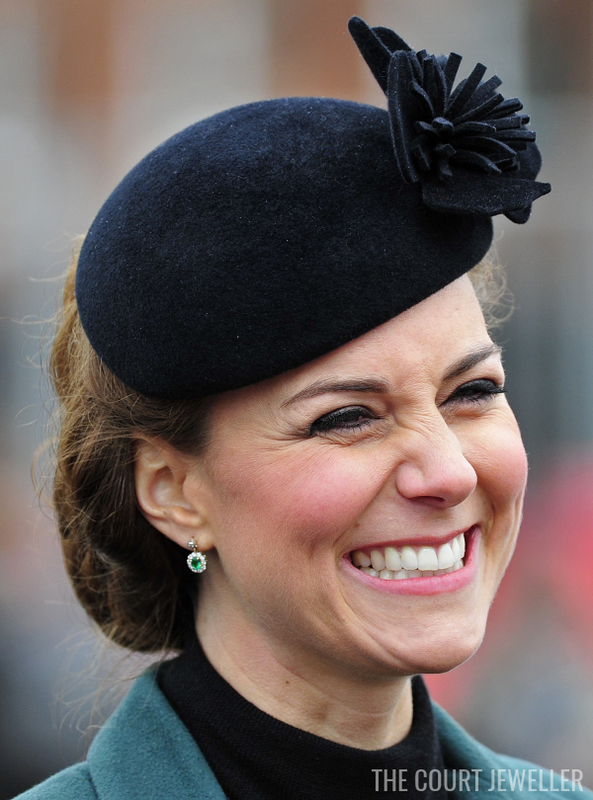 A few months later, she wore the earrings to present the Irish Guards with shamrocks on St. Patrick's Day. ... and then she donned them again on April 24 for engagements in Canberra. A few weeks later, she wore the earrings in Yorkshire to help kick off the annual Tour de France in Harrogate. 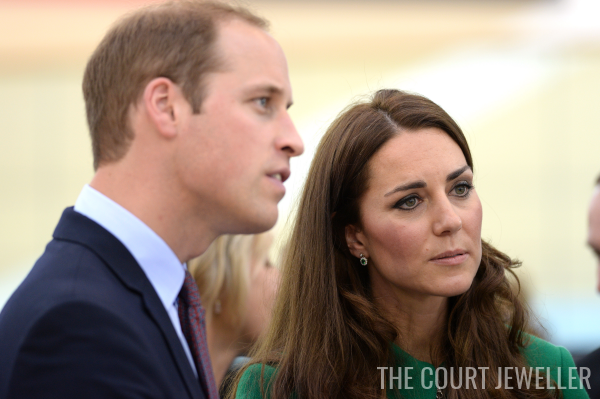 The earrings reappeared recently during William and Kate's March 10 engagements focusing on mental health and suicide prevention. 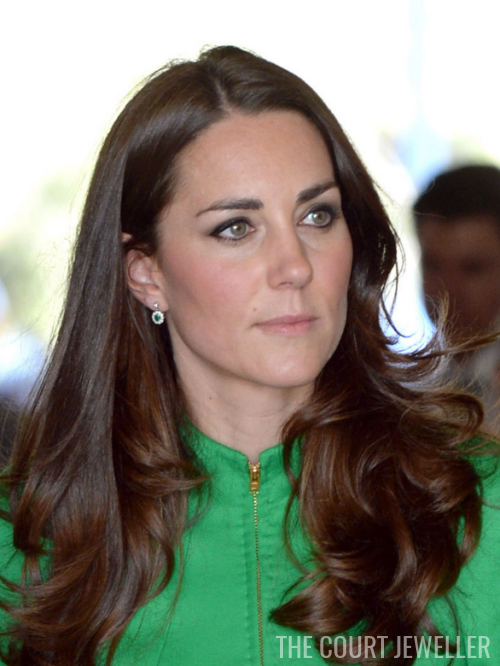 So far, Kate has only paired the earrings with green dresses or coats -- she even had a green coat on over her bird-print dress in the March 2016 appearance. Emeralds are a natural fit with green, of course, but I'm actually a big fan of pairing them with other colors, too. 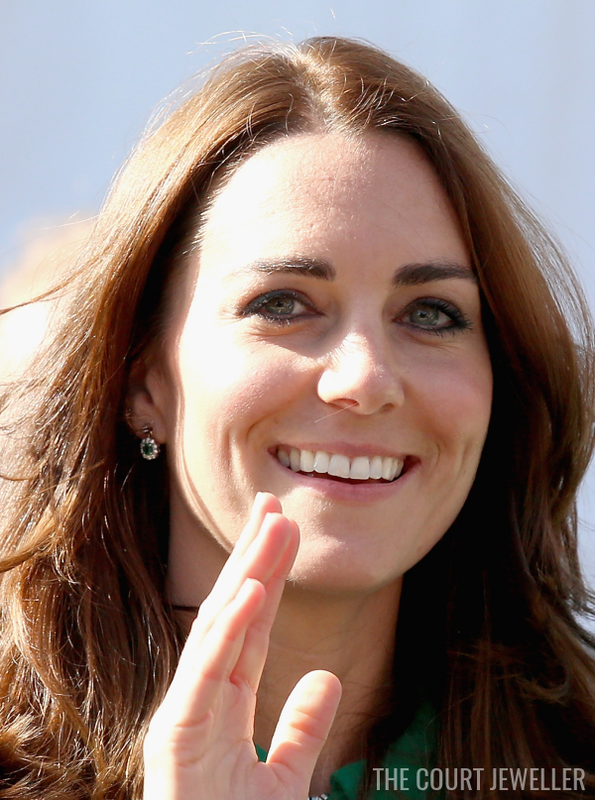 How about wearing them with royal blue, plum, or navy, Kate?